NEW YORK (Reuters) – Kellogg Co <K.N.> said 36,000 packages of its Special K Red Berries cereal could contain dangerous glass fragments and have been pulled from the market, the latest in a series of recalls of its popular brands.Company spokesman Kris Charles said late on Wednesday that three sizes of the product were involved and had been distributed across the United States to a limited number of retailers. No consumer injuries have been reported, she said. Charles said the voluntary recall is unrelated to big recalls in recent years that involved other well-known Kellogg cereals, cookies and crackers. The company is still in the process of turning itself around after admitting that it had cut too many jobs in prior years that contributed to manufacturing problems. 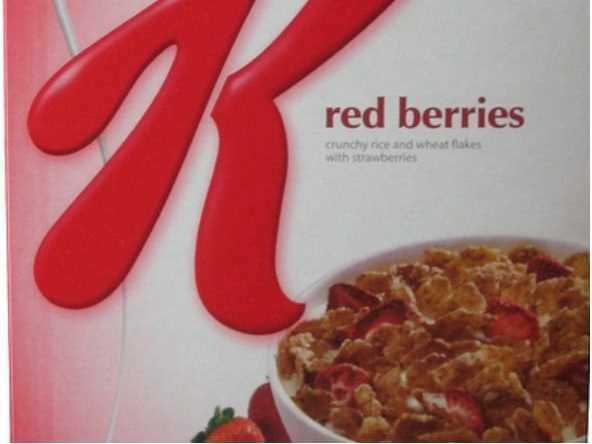 The latest recall involves 11.2-ounce retail packages of Kellogg’s Special K Red Berries cereal identified by UPC Code 38000 59923 with a “Better if Used by” date stamp of DEC 02 2013 KNC 105 00:13 through DEC 02 2013 KNC 105 02:30. It also includes 37-ounce club-store packages identified by UPC Code 38000 20940, followed by a “Better if Used by” date of NOV 30 2013 KNB 107 17:31 to NOV 30 2013 KNB 107 20:05. Kellogg said 22.4-ounce twin-packs were also recalled. They are identified by UPC Code 38000 78356, along with “Better if Used by” time stamps of NOV 30 2013 KNA 105 07:00 to NOV 30 2013 KNA 105 08:51, and NOV 30 2013 KNB 105 15:00 to NOV 30 2013 KNB 105 17:05. Special K is touted by the company as a low-calorie consumer option. Kellogg in October recalled 2.8 million boxes of its Mini-Wheats cereal after fragments of flexible metal mesh from a faulty manufacturing part were found inside packages. In June 2010, the company voluntarily recalled millions of packages of Kellogg’s Corn Pops, Honey Smacks, Froot Loops and Apple Jacks cereals due to an off-flavour and odor of the products. In 2009, it voluntarily recalled certain lots of its Austin and Keebler brands of peanut-butter sandwich crackers and Famous Amos and Keebler cookies due to potential contamination with Salmonella.